(MODEL NOT APPLICABLE TO USA AND CANADA). 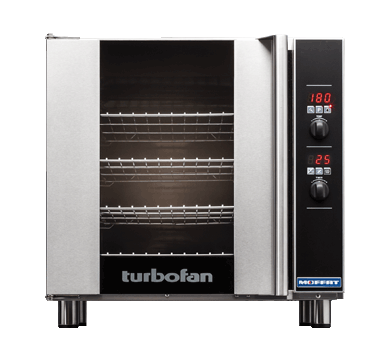 The new high performance two speed bi-directional reversing fan has improved performance – provides greater product control – the high speed brings the power for maximum heat product penetration and for delicate products low speeds enable delicate products to bake carefully – bake, roast, cook, or regenerate. 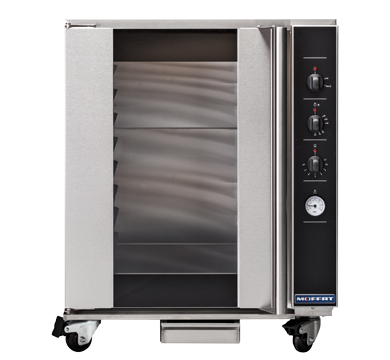 The E32D4 convection oven has four full size tray capacity within a compact 735mm / 28-7/8″ width footprint. 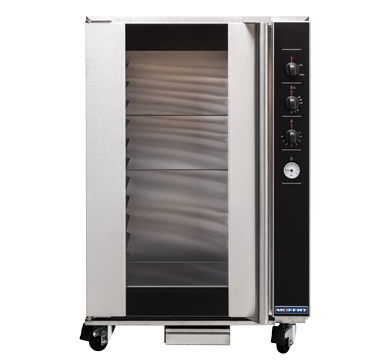 With large easy view displays, knob driven time and temperature controls to provide full electronic precision time and temperature accuracy. 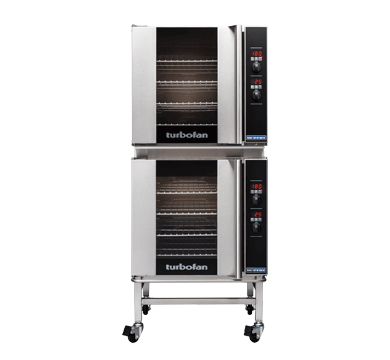 Can also be double stacked with a companion P Series prover or H Series holding cabinet.